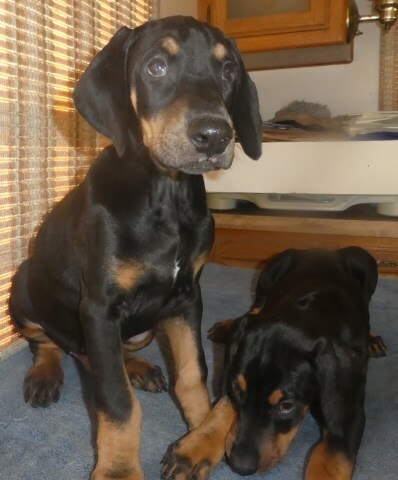 Doberman Pups, AKC papers, Pedigree, Microchip, Tail/dewclaws done (not ears), Shots & Deworming will be current.White & Black Females and 1 Male available. 48 hrs to take to your vet and 3 yr written guarantee against any genetic defects. 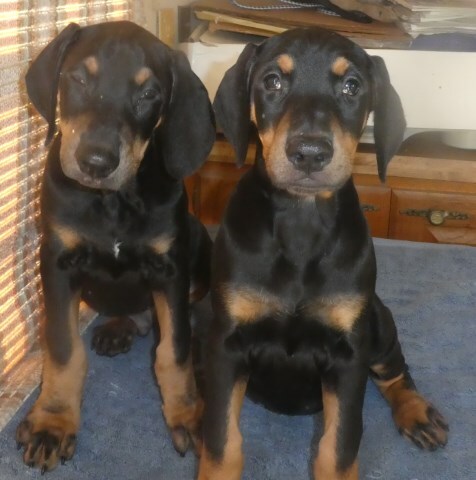 25 yr doberman breeder specializing in excellent disposition and conformation. Will ship at your expense, usually around $550. 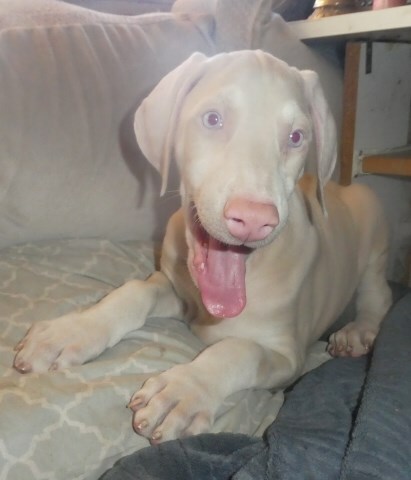 Sire is 110 lbs.